This post is part of a series about my experiences moving our library servers and services to Let’s Encrypt for TSL/HTTPS certificates. This recipe will be describing how I installed certificates from Let’s Encrypt on an API server, more specifically an Apache Tomcat 7 web application called Web Services from SirsiDynix which is installed on a local server running CentOS 6. At our library, Web Services provides integration between two SirsiDynix products–Enterprise OPAC, BookMyne mobile application–and the library management system, mostly for “my account” functions such as holds and renewals. In addition, we use Web Services to integrate real-time availability from the the library management system in the search results for Enterprise, Summon, and Ebsco Discovery Services. Note: these instructions are for Enterprise installed on a local server, if your Web Services server is hosted by SirsiDynix, you would need to work with them to install HTTPS certificates. Here are the overall steps on a local Web Services server that you have shell access to with root or appropriate sudo privileges. Use the client application to generate certificates. Configure Tomcat to use the certificates. Set up a routine for renewal of certificates. 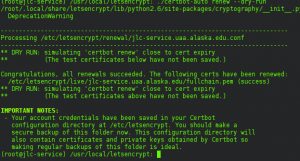 Let’s Encrypt recommends using a client application called certbot to obtain certificates. For a number of distros (Ubuntu, ArchLinux, Gentoo, CentOS RHEL 7), the client is available via the common package manager for that distro and can be installed with one command. Our server is still on CentOS 6, so we have a few extra steps. Enable the EPEL (Extra Packages for Enterprise Linux) repository. This will make additional dependencies available to the certbot client. Create a directory for where the certbot client will live, this can be anywhere but I selected /usr/local/ and named the directory letsencrypt. Download the certbot client and make it executable. The certbot client is actually a script that performs a number of tasks, see this previous post for more details. Run the certbot client to install certificates in manual mode. 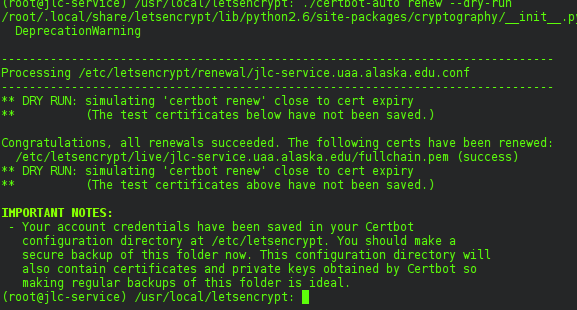 The –standalone switch tells certbot to install the certificates in the /etc/letsencrypt/ directory. The –standalone-supported-challenges http-01 switch tells certbot to bind temporarily to port 80 to verify that you own the server. Therefore port 80 must be available via the firewall and have no services running on it during this step. Answer the questions the client will ask and wait for it to finish. I put in my email address. Web Services uses direct access to the Tomcat application so we be creating a Java Key Store to house the certificates. 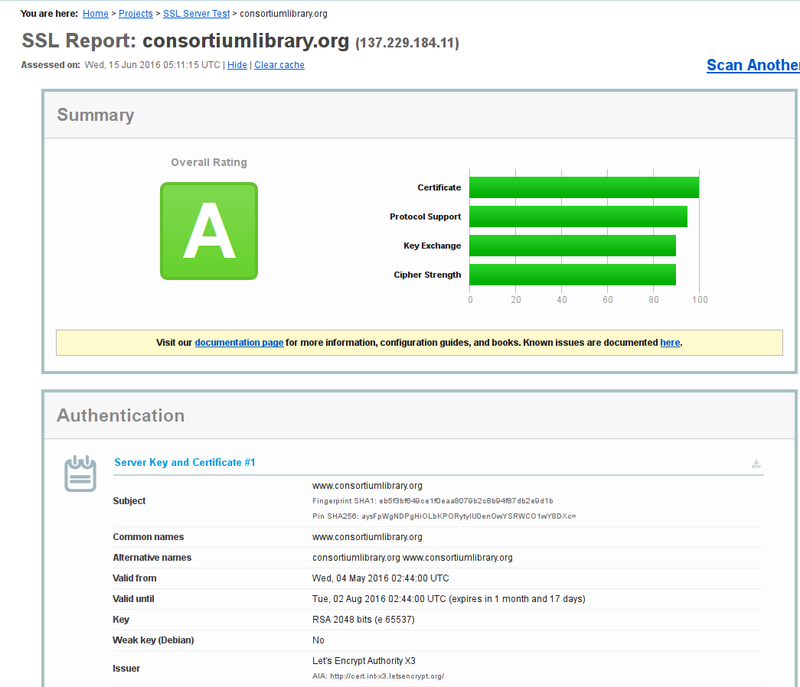 Our previous post on installing Let’s Encrypt certificates on an OPAC Server covered configuring Tomcat for proxy access via Apache. Install Java Development Kit version 1.7 or higher so that TLSv1.2 is available. Change directory to where your Tomcat configuration files are located, in our case that’s in /opt. Bundle Let’s Encrypt certificates into a single file in the PKCS #12 format. Answer the question to create the export password. Create the Java Key Store. The <boundcertificates>, <aliasname>,<firstpassword>, <secondpassword>, <thirdpassword>, and <keystorename> that you assign in these two commands should be recorded and kept in a safe place so these steps can be repeated again when needed. Edit the Tomcat configuration file to tell it to use the certificates on port 8443. In our case, there was a default entry for 8443 using vendor self-signed certificates and configuration which allowed insecure SSL v2 & v3. We changed it to the following. Test the certificates to make sure they are installed correctly for the domain. 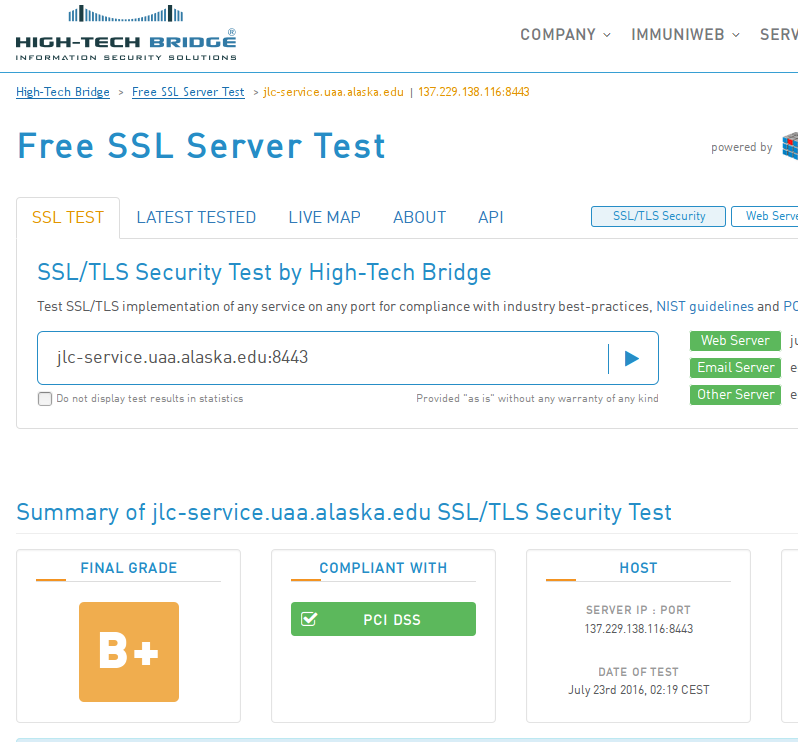 Note: I normally use https://www.ssllabs.com/ssltest/ but it only supports testing on port 443. 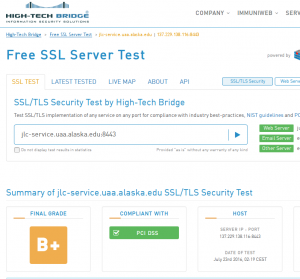 HT Bridge provides testing on any port you specify. That’s it, our library API server is now using free HTTPS certificates issued by Let’s Encrypt. We can now work on moving our production OPAC server to HTTPS (we covered moving our test OPAC server to HTTPS in the previous post). Let’s Encrypt will only issue certificates for 90 days for some good reasons but this comes as quite a shock to administrators who are used to 1-3 year renewal periods. The idea is that renewal will be automatic so that you will only need to manually deal with certificates when first issuing them or when making changes to domain names. Perform a dry-run to renew certificates without making a real request. You should get a message that the test succeeded. Add a cron or systemd job to run the command automatically. The certificates will only renew if they are going to expire in 30 days or less. Let’s Encrypt recommends running the renewal command twice a day. I’m old school so decided to use crontab. Here is an example entry to run renewal once a day at 4:25am. Bundle the renewed certificates into a single PKCS file and create (i.e. replace) the Java Key Store using the steps outlined above and restart Tomcat service. It should be fairly straightforward to create a bash script that performs these steps and schedule it to run automatically. This post is part of a series about my experiences moving our library servers and services to Let’s Encrypt for TSL/HTTPS certificates. This recipe will be describing how I installed certificates from Let’s Encrypt on a library OPAC server, more specifically an Apache Tomcat web application called Enterprise from SirsiDynix which is installed on a local server running CentOS 5. 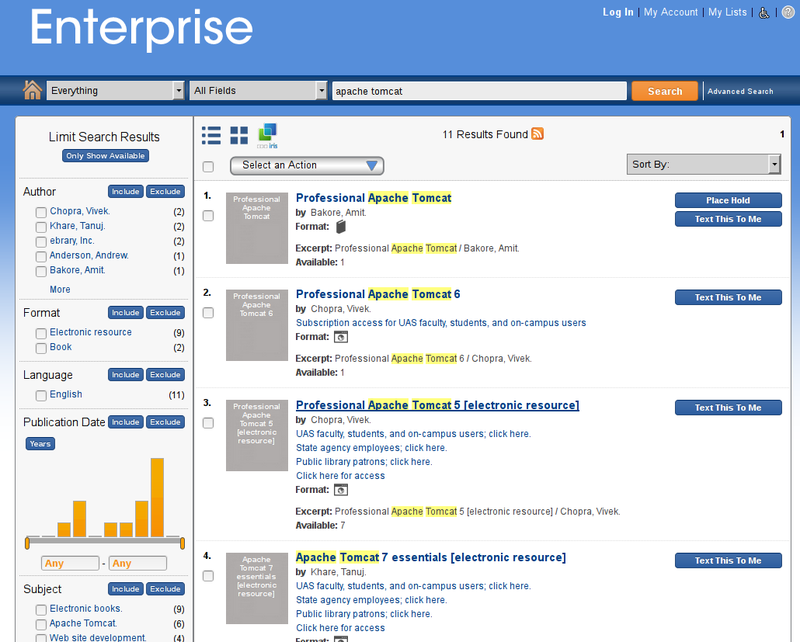 Enterprise is actually a discovery service that it can provide a single search interface across multiple collections, but our instance is focused on just the library catalog. Note: these instructions are for Enterprise installed on a local server, if your Enterprise server is hosted by SirsiDynix, you would need to work with them to install HTTPS certificates. Here are the overall steps on a local Enterpise server that you have shell access to with root or appropriate sudo privileges. Configure Enterprise to use the certificates. Let’s Encrypt recommends using a client application called certbot to obtain certificates. For a number of distros (Ubuntu, ArchLinux, Gentoo, CentOS RHEL 7), the client is available via the common package manager for that distro and can be installed with one command. For CentOS 6, you have to take a few extra steps (see previous post). But our server is still on CentOS 5 (I know, I know…but it’s not end-of-life until March 2017) which will present several additional challenges. Enable the EPEL (Extra Packages for Enterprise Linux) repository. This will make additional dependencies available to the certbot client Because we are on CentOS 5, we have to download and install an RPM package. 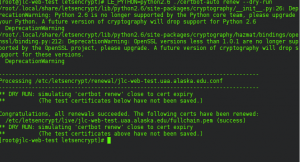 Install python 2.6 as a requirement for the certbot client. CentOS 5 has python 2.4 installed but certbot requires python 2.6 or higher. Trying to upgrade the builtin python 2.4 on CentOS 5 leads to dependency hell (trust me on this one), instead we will install separate version of python 2.6 and use an environmental variable to tell cerbot to use this version. Stop httpd service so that the certbot client bind to the web server ports prove to Let’s Encrypt that you control this domain. The LE_PYTHON=python2.6 tells certbot to use that version of python instead of the default 2.4. Because CentOS 5 has an old version of openssl (0.9), we can’t use the –apache switch event though this is an apache server. 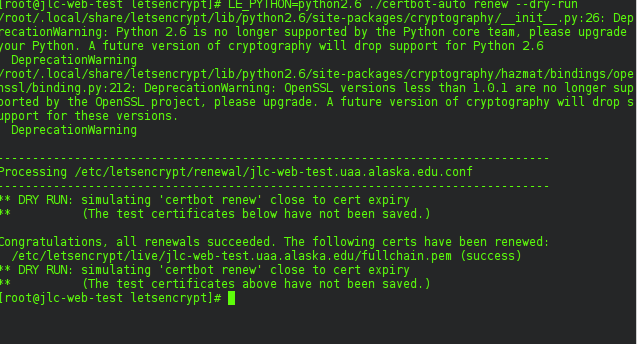 Instead we have to use –standalone switchwhich tells certbot to bind temporarily to the web server ports and install the certificates in the /etc/letsencrypt/ directory. In addition, because openssl 0.9 does not support TLS-SNI challenges, we have to use the option –standalone-supported-challenges http-01 to specify port 80. At this point, the certbot client will abort with an error because of the old version of openssl that is installed does not support the SSL_set_tlsext_host_name attribute. Look at the log file to see the error. Edit the certbot client using nano (or your favorite text editor) at the appropriate line number to work around this by adding try: before the line and then a second line with except:pass. That’s right, we are going to hack tweak the client. This makes getting the SSL_set_tlsext_host_name attribute optional instead of mandatory. As far as I can tell, getting this attribute is just is just part of a standard initialization proceedure and is not needed to generate the certificates. Run the certbot client again. Start the httpd service again. Enterprise uses Apache to proxy access to the Tomcat application so we use the second method. In our next post on installing Let’s Encrypt certificates on a Web Services API Apache Tomcat server, we will cover configuring Tomcat for direct access. Create a minimal SSL conf for Apache that points to the Let’s Encrypt certificates. Configure Enterprise to use HTTPS by logging into the database that is part of the web application and changing a property value. Restart the tomcat and jboss applications for Enterprise. 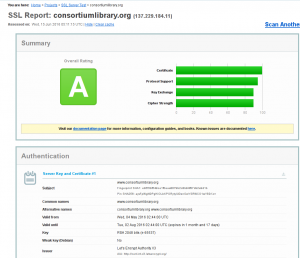 Test the certificates to make sure they are installed correctly for each domain. Note: The grade is a C rating because the openssl 0.9 does not support TLS 1.2 . 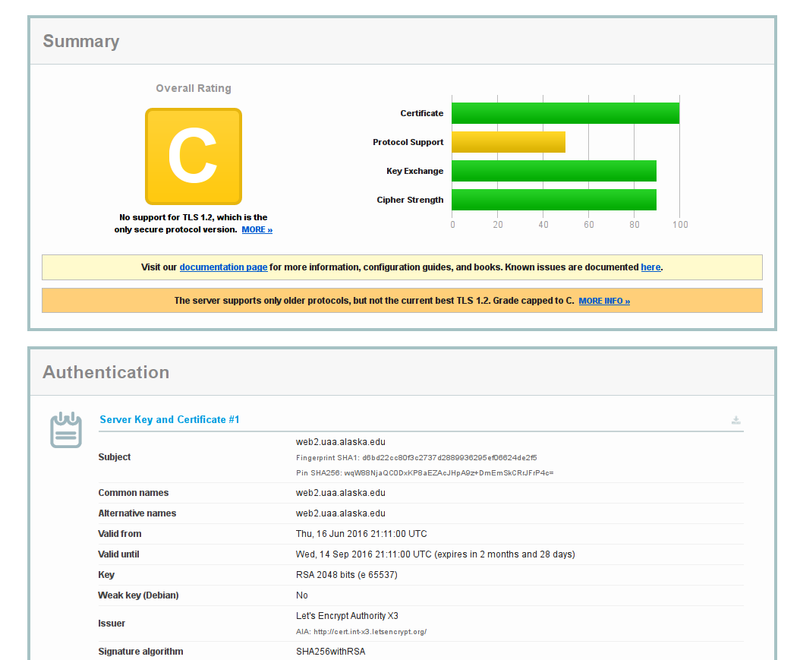 This rating will improve when we upgrade from CentOS 5 to 7. That’s it, our library OPAC server is now using free HTTPS certificates issued by Let’s Encrypt. The challenges we ran into were the result of being on CentOS 5 with out-of-date versions of python and openssl. If our server was on an up-to-date OS, this would have been very straight forward. Note: because the certbot client automatically updates itself with a newer version if available, we might have to tweak the client again to avoid the SSL_set_tlsext_host_name error, but this potential problem will go away once we upgrade to CentOS 7. The next post in the series will be on installing Let’s Encrypt certificates on a Web Services API Apache Tomcat server. This post is part of a series about my experiences moving our library servers and services to Let’s Encrypt for TSL/HTTPS certificates. 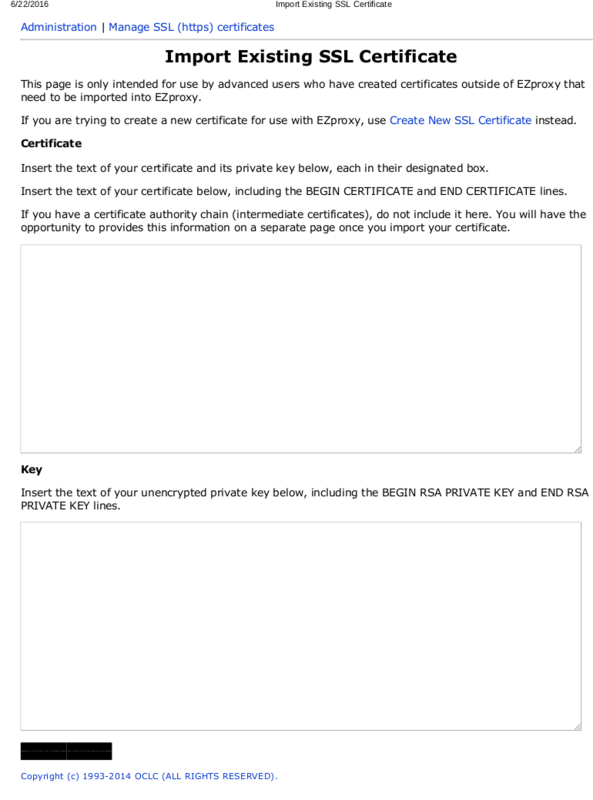 This recipe will be describing how I installed certificates from Let’s Encrypt on a standalone EZproxy server that provides authentication and access to online resources. Note: if your library uses the hosted EZproxy service, certificate management is provided by OCLC. EZproxy can be configured to use SSL to provide access to content from secure URLs that begin with https://. If your EZproxy configuration uses proxy by hostname you will need a subdomain certificate for each secure URL that can be accessed. The easiest way to handle this is to install certificates which support wildcard for multiple subdomains. 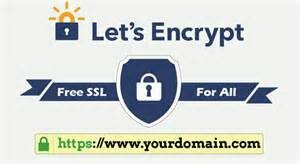 While Let’s Encrypt does not support wildcard certificates at this time, it does support issuing up to 100 subdomains on a single certificate. This means that Let’s Encrypt is a good solution for standalone Ezproxy servers that access less than 100 secure URLs. Let’s Encrypt began supporting wildcard certificates in 2018. Yay! At some point I will work on an updated post to show how this is done. For our library, we will continue to use purchased certificates that support wildcard for our main EZproxy service and use Let’s Encrypt to install certificates on a second EZproxy service for the Alaska Medical Library, a unit inside the main library, that provides access to content from a handful of providers. Here are the overall steps on a standalone Linux EZproxy server that you have shell access to with root or appropriate sudo privileges. Configure EZproxy to use the certificates. Stop EZproxy service so that the certbot client can use port 80 to prove to Let’s Encrypt that you control this domain. Note: if this command does not work, use the ./ezproxy -si command to install the start up scripts. Run the certbot client to install certificates in manual mode for two domain names ( one the EZproxy server, the other for a secure content subdomain). The –standalone switch tells certbot to bind temporarily to port 443 and install the certificates in the /etc/letsencrypt/ directory. If we had additional secure content subdomains, we could add them to the line with additional -d switches. Start the EZproxy service again. Enable port 443 for SSL. Login to the EZproxy admin page. Note: The grade is a C rating because the version of EZproxy we are running (5.7.44) does not support TLS 1.2 . We will probably need to upgrade at some point. Enable secure logins and add directive for secure URL. That’s it, our EZproxy server is now using free HTTPS certificates issued by Let’s Encrypt for secure logins. Let’s Encrypt will only issue certificates for 90 days for some good reasons but this comes as quite a shock to administrators who are used to 1-3 year renewal periods. The idea is that renewal will be automatic so that you will only need to manually deal with certificates when first issuing them or when making changes to domain names. Unfortunately for the EZproxy server, we have one step that I have not been able to automate. Stop the EZproxy service and perform a dry-run to renew certificates without making a real request. You should get a message that the test succeeded. Add a cron or systemd job to run the commands automatically. The certificates will only renew if they are going to expire in 30 days or less. Let’s Encrypt recommends running the renewal command twice a day. I’m old school so decided to use crontab. Here are example entries to stop EZproxy once a day at 4:20am, run renewal at 4:25am, and start EZproxy at 4:30am. Import the certificates into EZproxy and activate them using the steps described earlier in this post. I am not aware of a way to automate this part, so for now I will just set a calendar reminder and do this every 90 days. The next post in the series will be on installing Let’s Encrypt certificates on a library OPAC (SirsiDynix Enterprise) Tomcat Server on CentOS 5. This post is part of a series about my experiences moving our library servers and services to Let’s Encrypt for TSL/HTTPS certificates. This recipe will be describing how I installed certificates from Let’s Encrypt on a Windows 2008 IIS Web server that hosts two web applications. A Web interface to an Inmagic database for Arctic Health Literature. 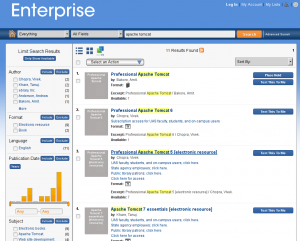 A search engine powered by DTSearch for the Arctic Health website. These web applications provide content which is embedded into an external website called Arctic Health which recently moved to HTTPS. Thus the web applications need to move to HTTPS to avoid insecure-content warnings or blocks. Let’s Encrypt provides both certificates and certbot, a client that makes installing and renewing the certificates as painless as possible for a number of Web servers and operating systems. Unfortunately, certbot is not available for Windows so we will have to use one of the many many alternative clients. I selected lets-encrypt-winsimple which does not have as many options as some other clients but is straight forward to use. 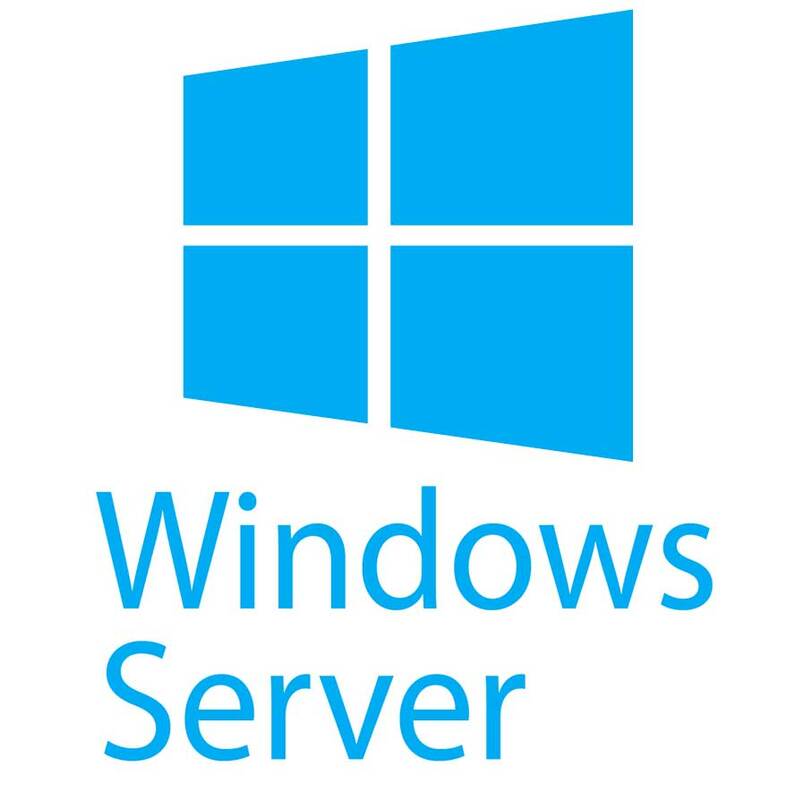 If you have a complex IIS server configuration you may want to select a different client. Lets-encrypt-winsimple requires that you have .net framework 4.5 installed. Our web applications are old and use .net frameworks 2.0. Luckily you can run multiple versions of .net on the same server without issues. Lets-encrypt-winsimple scans your IIS server for binds to determine the domain name. We don’t have a bind for the domain name so we will need to create one. Download and install .net framework 4.5. 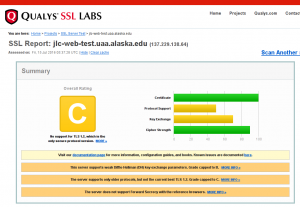 Add bind for default website in IIS for http to hostname web2.uaa.alaska.edu. so that access to the server via IP address will still work. In my case I am putting it into the current user folder C:\Users\Admin. creates a task in Windows Task Schedule that will run each morning and update the certificates automatically every 60 days. The client is a command line interface and there are a number of available options. 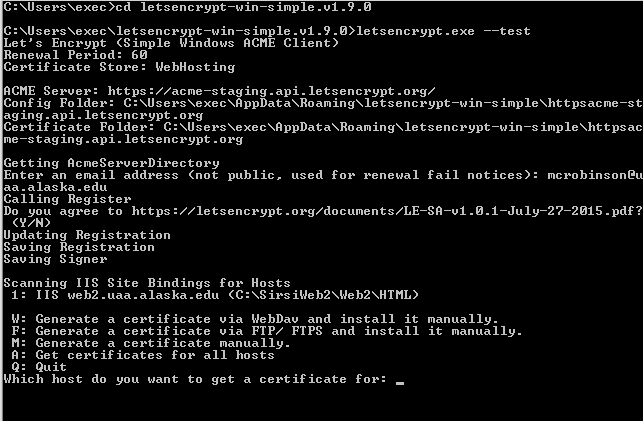 Run the lets-encrypt-winsimple client to install certificates for the domain names defined in IIS (in this case only one, web2.uaa.alaska.edu). Agree to Let's Encrypt terms of registration? Which hosts do you want to get certificates for? Install certificates in Windows Certificate store? Add certificates to server software? That’s it, our Web server is now using free HTTPS certificates issued by Let’s Encrypt. 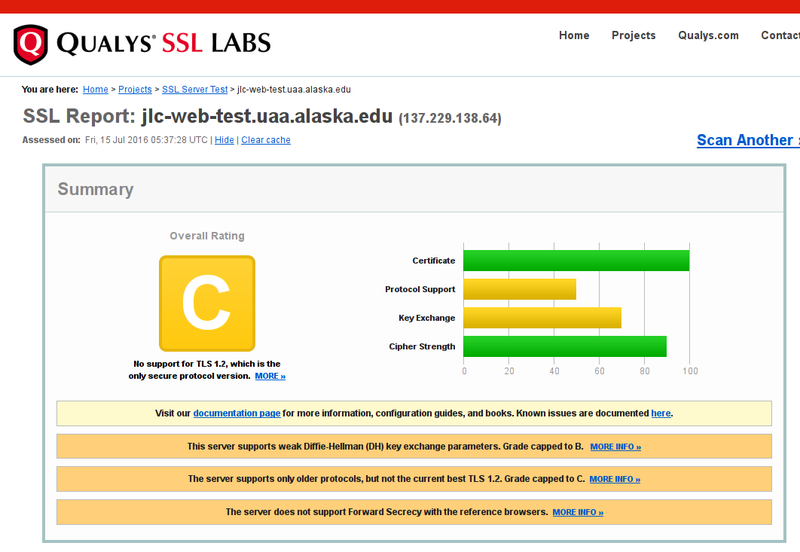 It imported the certificates into the Windows certificate store and created a binding in IIS for https port 443 for host web2.uaa.alaska.edu. We can now tell the folks managing the Arctic Health website to start using https://web2.uaa.alaks.edu instead of http://137.229.184.12 for embedded content. Note: When I first ran the ssllabs test, the grade was an F because of the default settings for protocols and ciphers in IIS on Windows 2008. I used a free, easy-to-use tool called IIS Crypto to tighten things up to a C rating. Windows 2008 can not get a higher rating because it does not support TLS 1.2, that only became available in Windows 2008 R2 which is a separate product not a free upgrade. At some point, we will need to upgrade but probably will go to Windows 2012 R2 or the not-yet-released Windows 2016. The next post in the series will be on installing Let’s Encrypt certificates on EZproxy on CentOS 6. This post is part of a series about my experiences moving our library servers and services to Let’s Encrypt for TSL/HTTPS certificates. We will cover migrating the server for our main website from commercially purchased HTTPS certificates to Let’s Encrypt certificates. So why use Let’s Encrypt to install certificates on a server which was already running perfectly fine on purchased certificates? To save money, every little bit helps. To be able to reassign the purchased certificates (which support wildcard for multiple subdomains) to our Ezproxy server. More on this in a future post in this series. Cause, as in “cause I can.” Put in a less cavalier way, it allowed me to gain experience using Let’s Encrypt on a production server. Its only fair that I eat my own dogfood since I am advocating that libraries adopt Let’s Encrypt. Let’s Encrypt provides both certificates and a set of tools to make installing and renewing the certificates as painless as possible. Here are the overall steps on a Linux Apache Web server that you have shell access to with root or appropriate sudo privileges. Use the client application to install certificates. Set up automatic renewal of certificates. It was fast and painless to do this on an Apache server running on a modern Linux distro. This will not be as true for some of the recipes I will be sharing later in the series. 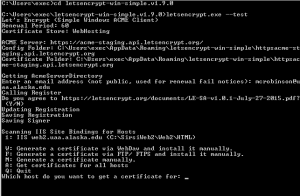 Let’s Encrypt developed a client application that they initially called letsencrypt to automate many of the steps involved in issuing certificates and installing them correctly in the Web server. In April this year, they released a new version of the client called certbot which will be maintained by the Electronic Frontier Foundation. You will see instructions out on the Web that use the letsencrypt client, it is pretty much interchangeable with the certbot client. The cerbot client is available for several types of web servers and common Linux distributions. There are also alternative clients and methods that will allow you to install Let’s Encrypt certificates if the cerbot client does not fit your situation. For a number of distros (Ubuntu, ArchLinux, Gentoo, CentOS RHEL 7), the client is available via the common package manager for that distro and can be installed with one command. Alas, our server is still on CentOS 6, so we have a few extra steps. Create a directory for where the certbot client will live, this can be anywhere but should probably be in /usr/local or /opt. I selected /usr/local/ and named the directory letsencrypt. installs the certificates on the server and configures the Web service to use them. Each time you run the client, it will auto-update itself as well as any software it depends on, so if you run any file integrity or intrusion detection software it will trip alarms. Here is the log of what the certbot client installed the first time it ran on our server. 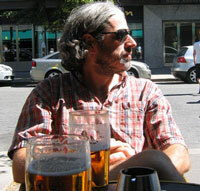 The client provides a lot of options and plugins. 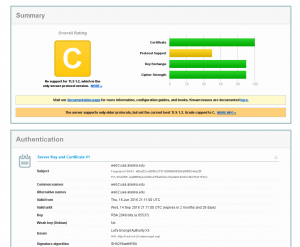 Run the certbot client to install certificates for two domain names for an Apache server. location of ssl configuration files? This defaulted correctly to /etc/httpd/conf.d/ssl.conf. easy (http or https) or secure (only https)? That’s it, our Web server is now using free HTTPS certificates issued by Let’s Encrypt. It placed the new certificates in /etc/letsencrypt/live and made changes to the ssl.conf to point from our old certificates to our new ones. We can now tell our commercial certificate authority to revoke our old certificates or to reassign them to another domain. Let’s Encrypt will only issue certificates for 90 days for some good reasons but this comes as quite a shock to administrators who are used to 1-3 year renewal periods. The idea is that renewal will be automatic so that you will only need to manually deal with certificates when first issuing them or when making changes to domain names. If this proves to be true, Let’s Encrypt with 90-day automated renewals will be less hassle than manually renewing commercial certificates each year. 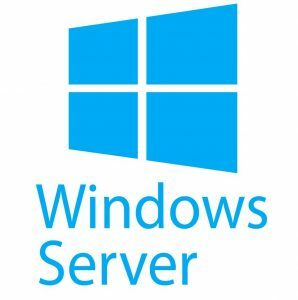 The next post in the series will be on installing Let’s Encrypt certificates on a Windows 2008 IIS Server.